M Cellars Winery located in Northeast Ohio that provides a spacious and warm and cozy atmosphere. Every season has something to offer at M Cellars; from the two-tiered deck and patio overlooking the vineyards to enjoy on warm Spring, Summer and Fall evenings, and the cozy tasting room which has a wood-burning fireplace. M Cellars has so much to offer from wine clubs, and wine tastings and acoustic nights on the patio while enjoying wine by the glass or bottle and light appetizers. M Cellars offers Cellar tours and, Tank and Barrel Tastings are available by reservation. Matt & Tara Meineke purchased the winery property in 2007 and watched as their vision start to unfold. they thought a world-class wine should be grown and produced in their backyard. They wanted to produce a world-class wine despite the brutal Winter months of Northeast Ohio. This is where the M Cellars arrives at, producing estate grown cool climate wines. The vineyards spaced over 1000 vines per acre and M Cellars implements the VSP system which allows efficient control of crop size per plant. 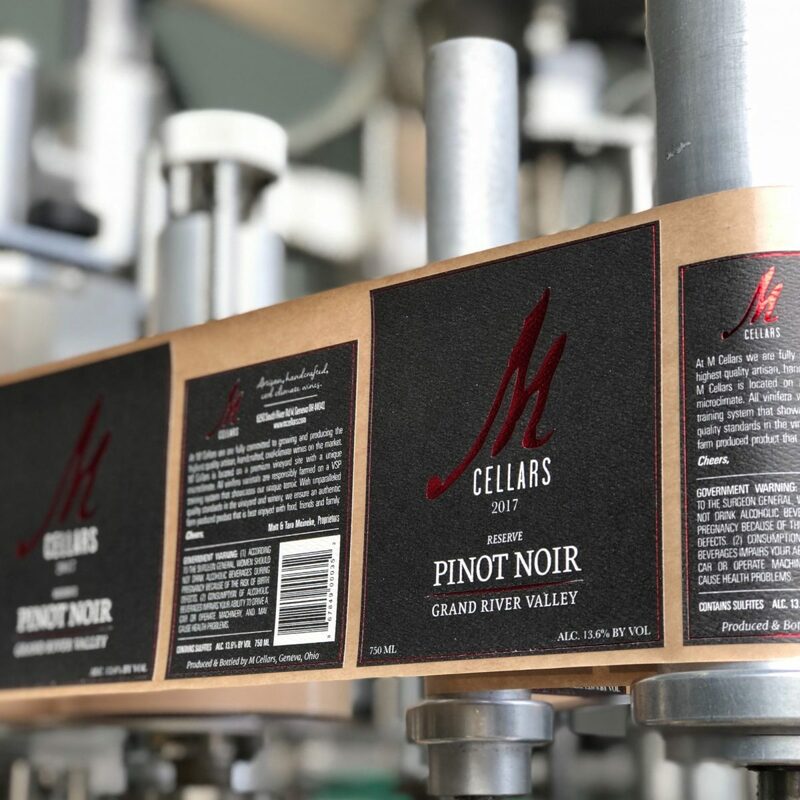 The focus is the quality in the vineyards is expressed in every bottle of wine M Cellars produces. M Cellars is a valued client of ADVAN Design. They receive, as with all our clients, the various benefits and advantages of our SEO packages. We want to help bring our clients to their highest potential; therefore, ADVAN Design’s SEO packages are designed to enhance online presence. We work to improve our clients’ Google Search visibility and presence on social media platforms such as Facebook, Twitter, Pinterest, and more!